“We finished a little place in the hills that we’ll use for weekends and vacations right now but will move to full-time when we retire in 5-7 years. 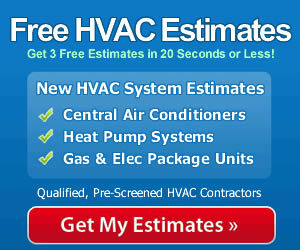 We looked for a solid, reliable HVAC system that offered a fairly low equipment costs along with good fuel efficiency. I checked out this site and others before meeting with the local Amana, Trane and Carrier dealers, as well as the Bryant guy. I was impressed mostly by the Bryant dealer’s knowledge of heating and cooling as well as his patience in answering all our questions. Believe it or not, in 34 years of homeownership this is the first time we’ve had a system installed. We’ve moved often enough for my work that it’s never come up before! The Bryant dealer – who turned out to be one of 3 siblings who own the company – said that their average crew member had 14 years experience installing systems, and that was impressive. Up to 16 Seasonal Energy Efficiency Rating. Energy Star and Tax credit eligible. Compressor blanket for reduced noise – total db of just 72. Uses Puron refrigerant that won’t harm the environment. Use standard thermostat or the Bryant Thermidistat for enhanced humidity control. High pressure and low pressure switches protect the performance and longevity of the compressor. DuraGuard and DuraFlow systems on the cabinet for protection and air flow. Units available from 1.5 to 5.0 ton cooling capacity (18K to 60K Btu). 10-year limited comprehensive parts warranty. Like a high-caliber car engine, the performance you’ll get from an HVAC system is only as good as the installation. Finding a top-quality contractor who knows the brand you’ve chosen and has experience installing it is the best way to enjoy peak performance, high efficiency and outstanding durability. Always select a qualified contractor for your installation and you’ll save money in the long-run through peak efficiency and durability.